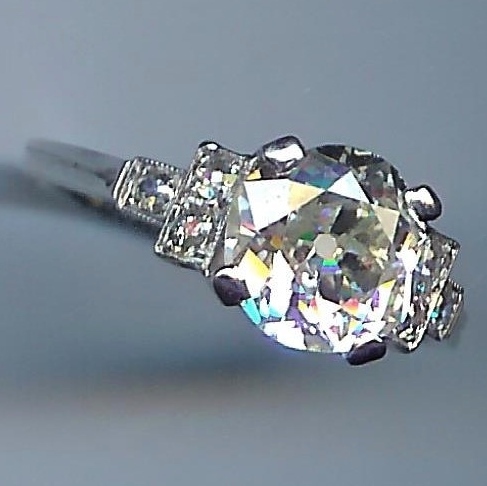 Exceptional 2.35cts Diamond Solitaire Ring [SH10179] - £0.00 : loveVintageDiamonds.com, Your Vintage Diamond Dreams Come True! 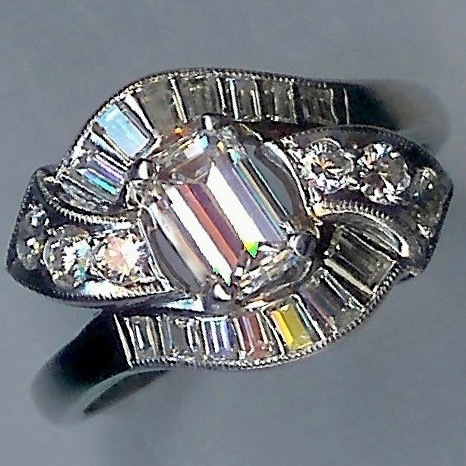 It is difficult in words to do justice to how stunning this ring is. The diamond weighs 2.35cts and is extremely captivating, with its excellent clarity, fabulous old rose cut, and its high colour. 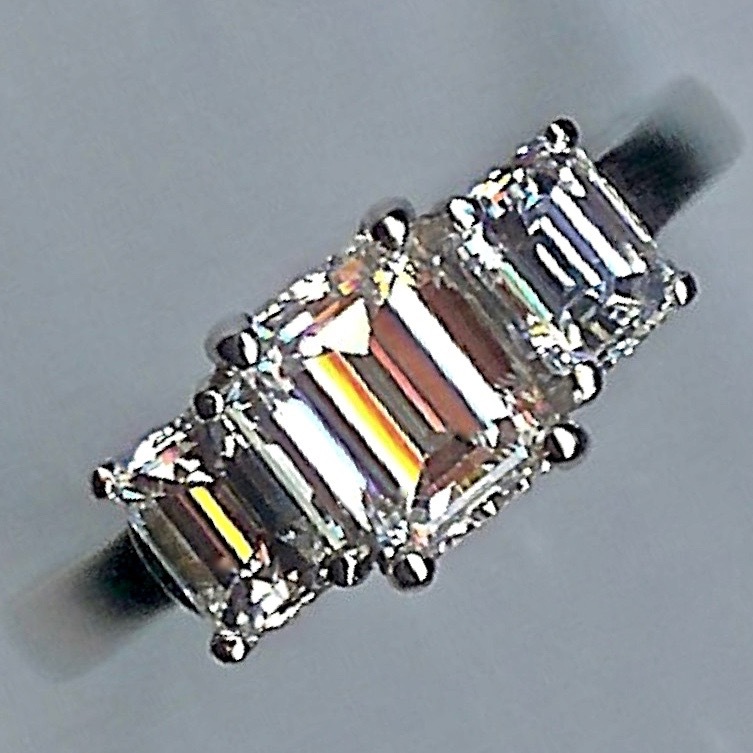 The diamond is shown off fabulously by its simple and sophisticated four-corner-claw settings. 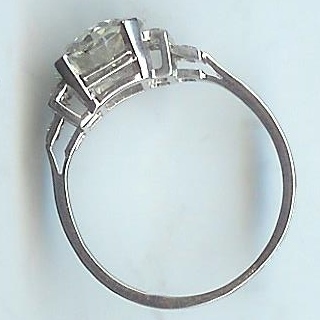 A total of six small diamonds are set into the shoulders of the ring. A further fine detail of the ring is the engraving in the shank that gives the appearance of a double-banded shank. 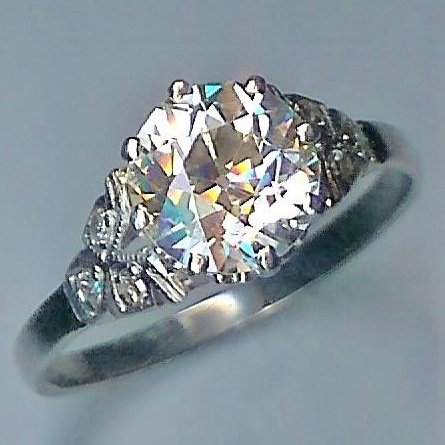 It really is one of the most beautiful diamond rings you've ever seen! 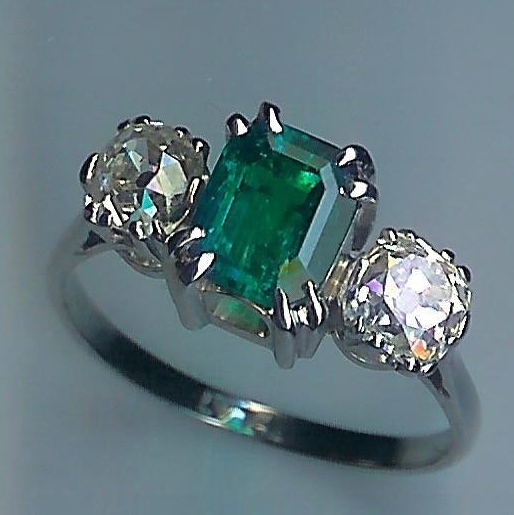 This will make a fantastic engagement ring, or would mark an anniversary in a very special way; maybe now is the time to gift your lovely lady the ring you wished you could have given her years ago! The metal is unmarked white throughout, and weighs as platinum. It has an overall weight of approximately 4.0gms and currently fits finger size 'P' (UK).